I never understood why every single sign at a train station needed a logo. It’s not like it means anything to passengers that all 10 or 20 station name signs on a platform have a tiny Metlink or PTV logo on them. 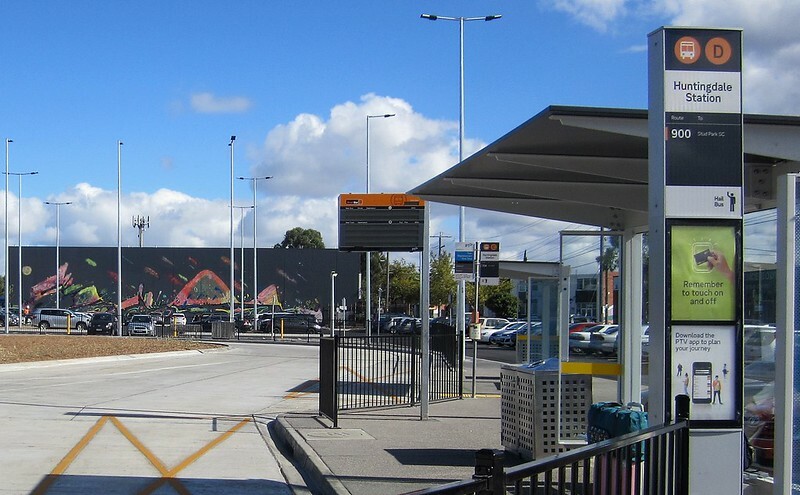 The new signs at Flinders Street and at Mernda are so much cleaner being stripped down to their message. As far as roading goes… it’s usually an unbranded environment anyway. Road signs are often based on international standards. By all means put a logo and contact details on actual customer information in poster cases at station entrances or timetable cases where people will actually be looking for contact details or have questions. PT> logo is stupid. Always points to the right even when the entrance/exit/place that the user needs to go, is to the left. @Crame, all good points, though I will note that most local street signs include a council name/logo, and a lot of the more recent major road signs include Vicroads or toll operator logos in the corner. Lets not merge corporate with branding here. They are at the corporate level is merging, but that is all about the management, and how the place is managed. This does not mean anything in respect to branding. Perhaps the PTV logo will be moved, but, Metro and Yarra Trams, are both PTV brands, of which are now DO??? brands, and I hope these brands will at least stay in place after the merger events. If somebody knows something that I dont here, please post your information here. One needs to wonder, how long will this new arrangement last? I hope the VicRoads videos are not removed. Ditto the PTV videos. All state government videos should automatically be in the public domain as soon as they are uploaded. I remember those Connex ads from 1999. Given the taxpayer subsidies, they should be in the public domain as well. Looks like Aussies have always wanted Americans in TV ads. Captain Risky in AAMI insurance ads. Alec Baldwin in Latitude Financial ads. Jeff Goldblum in Menulog ads.